Fr. Barry Bercier encourages students to find God’s plan – Transforming lives. Transforming society. Fr. 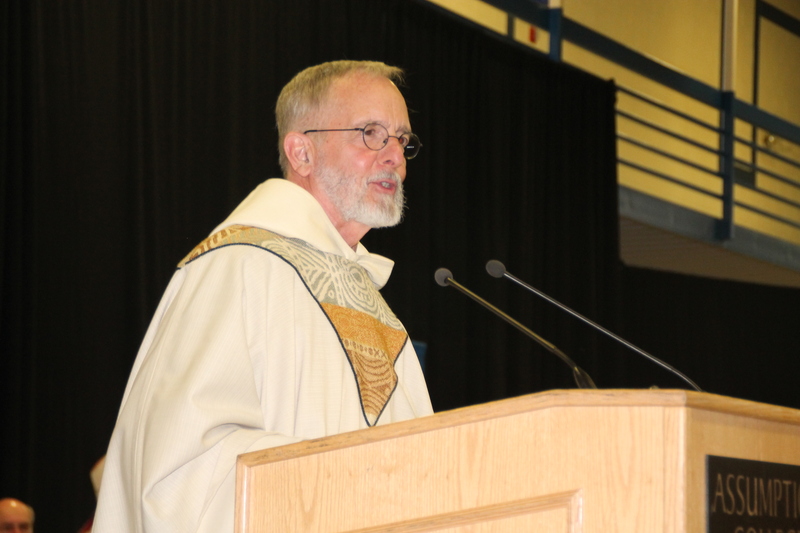 Barry, who is retiring from Assumption College this year, was the chosen homilist for the 2017 Baccalaureate Mass, which was held at 4 p.m. on May 13th. “He has a plan for you, a vision for you, and he wants you to follow it,” he said. Let him educate you, he said to students and their parents, and use that education to find your purpose in life.